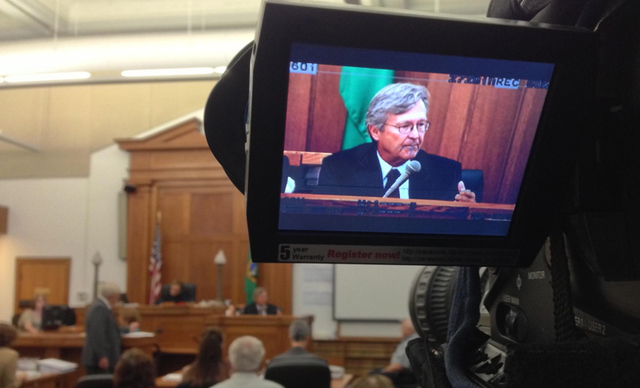 Mount Vernon, Washington – An expert on torture testified Friday in the homicide-by-abuse trial of Larry and Carri Williams who are accused of abusing their two adopted children from Ethiopia, Hana and Immanuel, and causing the death of Hana. 13-year-old Hana Alemu (Hana Williams) was found dead on May 12, 2011 in the family’s backyard in Sedro-Woolley, Washington. She died of hypothermia, which doctors say was hastened by malnutrition and a stomach condition. The couple are also charged with first-degree manslaughter in Hana’s death, and with first-degree assault in connection with the alleged abuse of Immanuel. They have pleaded not guilty. Hana and Immanuel were adopted from Ethiopia in 2008.